Smartphones are getting smarter day-by-day. But, Still, some people don’t know, How to Watch Movies Online? And the Answer is Here. Don’t worry about that. 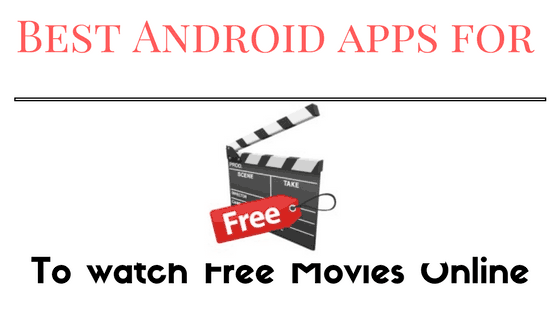 Today, I am going to tell you How to spend time when you’re free through Watching Movies online for free using Free Movie Apps For Android & iOS Users. You can Download the apps from the Google Play store or their official websites. Apart from that, You can also watch Tv serials which you missed when you’re at work, or you can filter searches by any genre like Horror, Romantic, Music and comedy related shows at any time. Download these Free Movies apps from given download links below, where it supports for both the Platform ( Android and iOS) for free. I have Listed some of the Top-rated, and best working online movies apps were using among people in the present era. I notify you to choose any one of the applications from the list and make sure that you have an active Data connection or WIFI Connection. Most of the streaming movie Applications which I prepared more for Android and Works for iOS too. So, Don’t forget to install Popcorn Time from APP STORE, The best app for Apple devices to stream and to download movies at the time. If you’re Interested, then see our Previous Post Best Video Player of 2017. It is the best Movie app available for Android and iOS smartphone. Previously it was named as PlayBox HD. Due to some technical reasons. 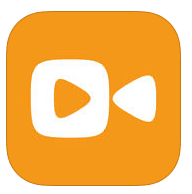 They have changed the name and User Interface which easily connects chrome cast and other casting devices. Not only Streaming. Also, You can download it and access the downloaded movies when you’re in the offline mode with subtitles and Kid’s support. It is one of the rated and popular app to watch new movies online which is not yet released in Google Play Store. But, I have provided the Download link below to get it from their official website. So, What’s new in it? Showbox was virally spreading among Android smartphone users. The app has various divisions where you can watch Tv shows, Movies, and Programs all together with multitasking. The app has responsive mobile user-friendly options where you can navigate quickly and can create the private folder without 3rd party ads hassle free. No limit to watch movies online. Daily Updated Programs by Authors. This application is available for Windows version (PC). So, You can download it now and unlock more entertainment on your Android as well as PC. MegaBox: The Best Alternative to Showbox. The app has been launched to provide the users new free movies with HD Enabled stuff. Megabox requires less than 2MB space to install. With this app, You can watch movies and Shows and this application only available for Android Users. 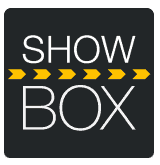 If you have already installed Showbox app. Then, You must Give a try on Megabox too. Bobby Movie app the best Evergreen app for iOS users. The app always plays in High-Definition movies to give iPhone or iPad a better user experience with neat Interface. The app contains some promotional ads to grow their business. You can Download it from App Store by searching “Bobby HD” or the provided link below. Note: – This app is only for iOS Users. Viewster is the topmost celebrity app for Android and iOS users. The app had tidy UI with default settings. Even, You no need to sign up. Directly you will be entered on Homepage. It is useful for Watching movies, Tv shows, and many other devotional programs. Sometimes it freezes the video when you flip your smartphone. It is also compatible with Google chrome cast and Android TV and gives the better High-Definition resolution. So, Make sure that you have installed must have the app on your smartphone. These apps are launched with the aim to reach people for their satisfaction. I downloaded one of the apps from the above listed Best Free Movie Apps. Please leave a comment below, Because, I want to know what app you have chosen for your devices and feel free to share with your friends and Relatives. Thanks for your valuable comment. Keep visiting for More news related to smartphones. I couldnt figure out which app to use for watching movies so I just took Amazon prime subscription last month. Great I stumbled upon this. I am definitely going to check them out now. If you’re an iPhone user, you can go with Popcorn time (The download link has been provided above) or Cinema Box is another amazing app to use it on Android devices. Thanks for sharing this. I am so tired of netflix lol. I have heard of viewster. I love watching movies and I am team android so yayyyyyy lol. As f May, 2018 half of these app’s are non-existant in the Google Play Store (Canada wise) & that is unfortunate. At the same time this was about Android app’s so why is Bobby App on this list when it is only for IOS? Very misleading. Thanks for letting us know through your comment. We will update the article soon. Bobby running fine on my note 8…just floated the apk from their site and all good. All apps are good. But i like Showbox among all of them. Every person has its own point of view and expectations. 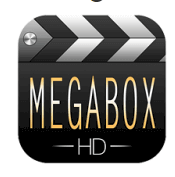 But I think Megabox HD is now another level and best entertainment app. I am totally gotten impressed after examining your article. Being a committed peruser, I value scrutinizing articles on different focuses and I am not settled to a particular topic or subject. Your creation way is exceptionally addictive and secures in the perusers in the most powerful way. I found that by far most of the articles in your site kept me associated, especially this article. Much esteemed! Thanks for the article. It is marvellous and well written and very brief to boot. I intend to go in for a couple of them on my android smart box though I am currently using Amazon prime.